I am an immigrant. When people see my name or hear me speak, they know I am an immigrant. I am shocked by the climate of fear and contempt toward fellow immigrants currently promoted from the White House. And I am shaken by the anger and hatred people are expressing today at white supremacist rallies, on social media, and in YouTube clips. Talk with your children about immigration and refugees.If you have information about how your own family immigrated to the U.S., perhaps you could show pictures and tell stories about their lives. If your children are a bit older, help them develop a more complex picture of immigration. Discuss the concept of territorial sovereignty, and how countries have the right and responsibility to control their borders. Also discuss some of the circumstances that lead people to try to enter a country illegally, including gang violence, death threats, and chronic poverty. You can talk about the crucial, and often ignored, contributions that immigrants make to our economy. If your children are older, you can also talk about racism in immigration policies and some of the prejudices that people have historically had against immigrants. Teach your children about hospitality. Hospitality is a Biblical concept which appears both in the Old and the New Testaments. If your children have had the experience of moving into a new neighborhood or school, perhaps they can talk with you about their experiences and whether they felt welcome or rejected. You could invite an immigrant family to dinner at your home and assign your children some important task, such as preparing the dinner, serving the guests, or preparing a welcome sign. You could also participate with your family in a Posada–a beautiful Advent tradition which is held in Mexico and other Spanish-speaking countries. 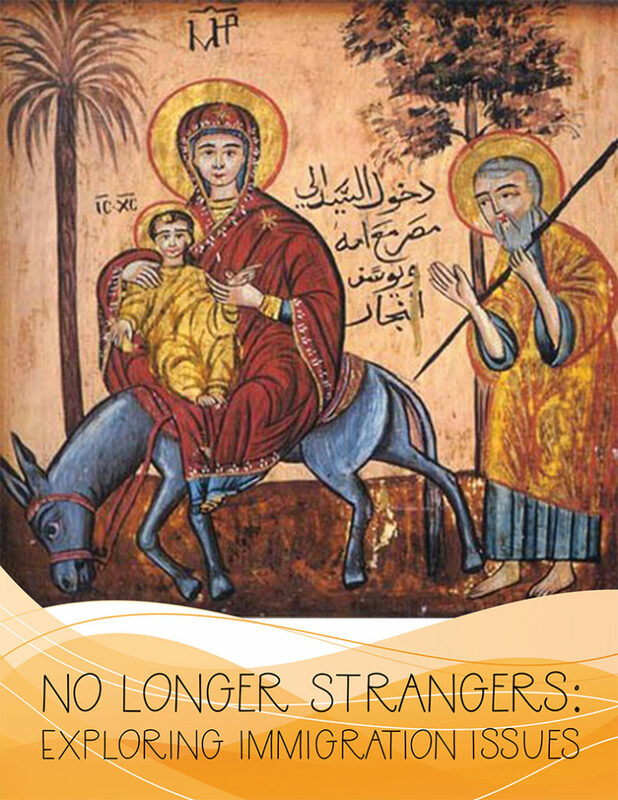 The message of this tradition is that when we receive the stranger, we’re receiving Jesus. This Grow Christians article explains how you can join or organize a Posada during Advent. Use this new resource to talk about immigration. I recently created a new resource about immigration that can be downloaded at no cost. It is called No Longer Strangers: Exploring Immigration Issues. The booklet includes biblical references on hospitality, examples of migrations in the scriptures, and thought-provoking questions that can be used for both personal study and group discussion. 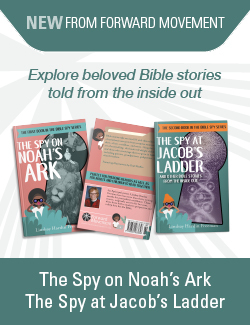 Although this document was created primarily for adults, many of the scriptures and questions can be used, or adapted for use, with children and teenagers. We must not shy away from discussing immigration. As parents, we have a special opportunity to teach Christian principles to our children—including the notion that through Christ we “are no longer strangers and aliens, but… citizens with the saints and also members of the household of God” (Ephesians 2:19). Let’s work together to fight ignorance and fear and to promote love, compassion, and understanding. Thank you for this timely resource! Will be sure to look into the materials you list here. I would add that we recently read the book “Refugees and Migrants (Children in Our World)” by Ceri Roberts which started some very thoughtful discussions with our kids. It’s appropriate for elementary aged students and I thought did a good job addressing the traumatic causes that drive refugees and asylum seekers from their homes in a way that was sensitive to kids and reassuring if the topics made them fearful in any way. Recommended.